ERP Customers find a local ERP Consultant on our directory! Secure Your Location and Get Listed! ERP software prospects are seeking assistance from local ERP software experts to help in their review of ERP software packages and to implement, train and support them in the future. Learn how your guest blogging efforts combined with the ERPVAR community can benefit your company and help convert leads for your local territory. Our network of multiple third party ERP software add-on developers are seeking to assist you in co-promoting their products to your local customers. Learn how to leverage the combined social networks from this site to maximize the reach of your blogging efforts and build your website SEO. Each VAR has city listing for high SEO ranking. ATTENTION 3rd Parties, ISVs and Developers: Join us, secure your listing today! ERP software prospects are seeking enhancements for their existing accounting and business management ERP solution are using the web to research options. Use the power of ERPVAR to co-promote your solution and receive leads! Leverage the combined social networks from this site to maximize the reach of your blogging efforts and build your website SEO. Each webcast campaign is promoted by mulitple VARS and/or ISV's. "One of our strategic initiatives for 2018 was to replace our open-source WordPress website. This initiative was critical to rebranding our webpages to align more closely with our parent organization and the WordPress tools and gadgets had become obstacles towards the creative vision we had designed. The second important factor was implementing marketing automation tools to increase our campaign effectiveness and data analytics. We chose HubSpot with assistance from ERPVAR to deliver this project. ERVPAR and, especially Adrian, were instrumental in our website transformation project. Adrian and team helped us optimize our page content, convert our pages to HubSpot and, most importantly, maintain our SEO performance by configuring our topic clusters in HubSpot. Adrian has already provided training and best practices to my marketing team to reduce the learning curve and provide a foundation for us to be self-sufficient. I would recommend ERPVAR to assist with your HubSpot projects, website design and SEO optimization. We are excited about our website potential and its lead-generation capabilities utilizing the campaign tactics with buyer personas and workflows. Thank you for your help and expertise!" "Can't say enough about the ERPVAR team. They have been an integral part of our marketing efforts for the past 6 years and we've seen major growth in inbound marketing results during this time." Highly recommend! “Where do I start? 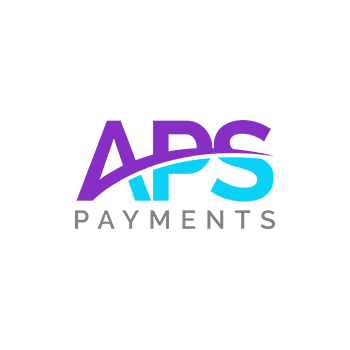 American Payment Solutions first engaged ERPVAR in 2015 and we have been using their services ever since. ERPVAR’s implementation and management of our HubSpot inbound marketing system has been essential to our growth. Reports verify that we earned 1048 net new contact conversions between utilizing ERPVAR’s webinar campaigns and net new contact conversions on our own internal website forms in 2018. This is an increase of over 73% in 2018 compared to 2017. “I first engaged ERPVAR in January of 2018. The team at ERPVAR makes it is easy to execute our collaborative campaigns. They know our business and are experts at communicating our capabilities to solve our prospects business problems with our automated business process solutions. The collaborative webinars have enhanced our relationships with the ISV’s that we have partnered with and have generated several leads that resulted in sales. “We have worked with ERPVAR for over a year now as our out-sourced Marketing Department. As a young company, we don’t have those skills in-house, so we turned to Adrian and Kathy to fill that role. They helped us tune up our website to improve our SEO ranking. They also worked with us to improve our blogging and guided us through the world of social media to help build our list of followers. They found us a prospect through their site who became our first direct customer. We look forward to working with them to execute our 2019 marketing plan and continue to drive traffic to our site to help grow our business. We definitely recommend these ERP industry marketing experts to anyone who wants to grow their business.